What material are the belt buckles? 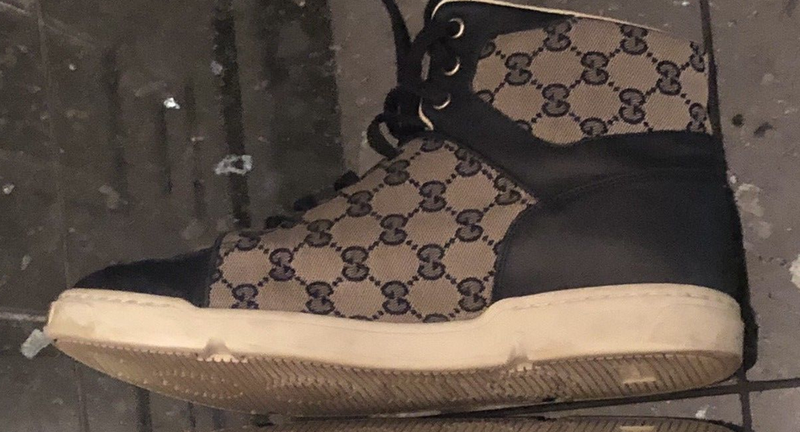 Can anyone tell me what these Gucci sneakers are and whether or not they are legit? 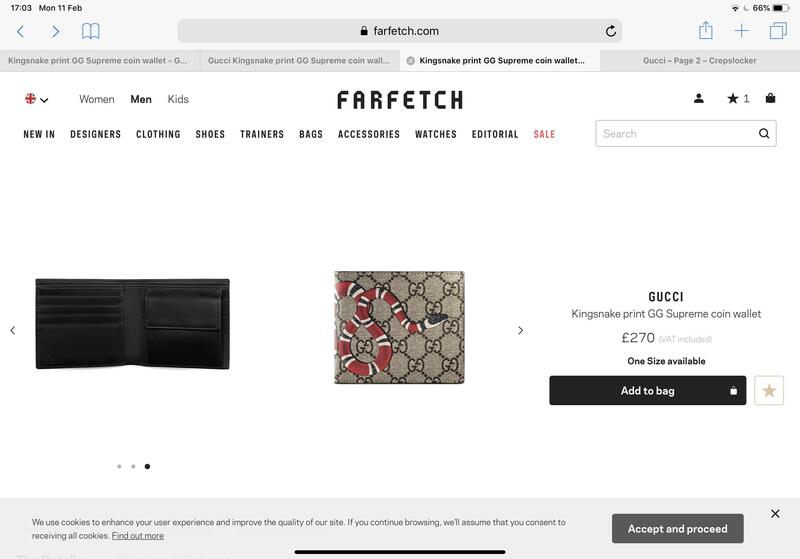 Not sure if this wallet is fake or not. Can Anyone Identify this Messenger Bag from the pictures? 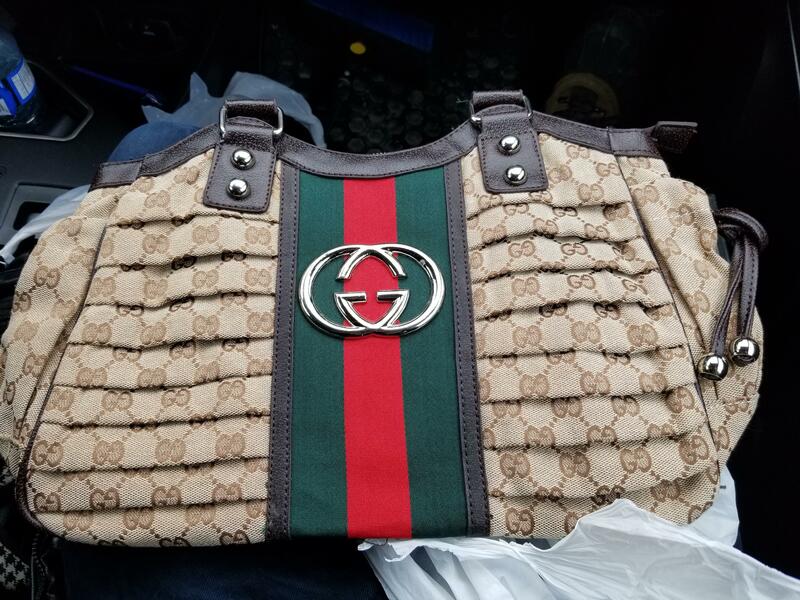 A friend of mine bought this in New York and wanted help. Is this a fake? Is this real? It’s hard to find information on the internet. If real, what’s its value? Can I get a used item authenticated from a 3rd part? Could someone check if these are real or fake? When will the full look for this come out? Was wondering if this was real or not? 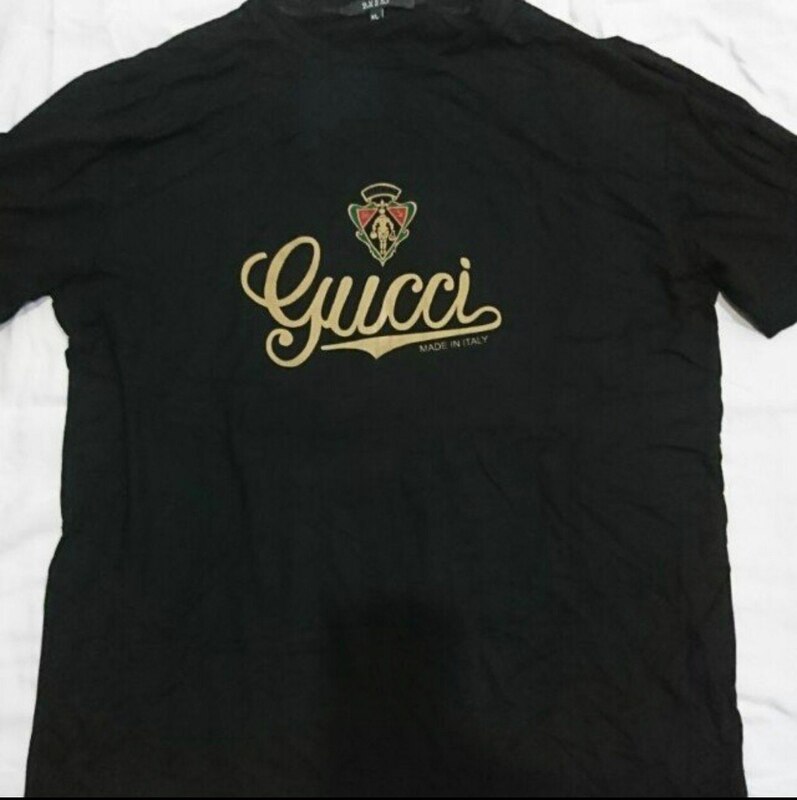 Need help identifying these Gucci jeans. 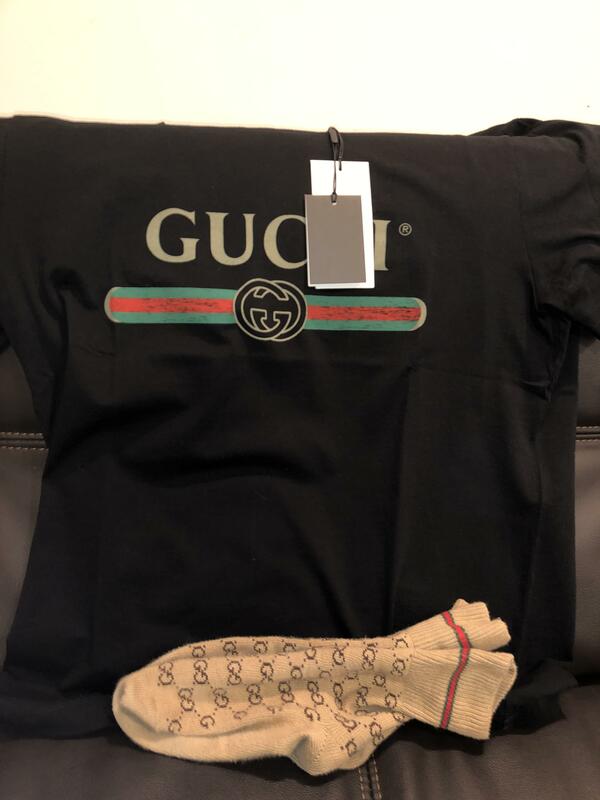 Is this Gucci Coco Capitan Sweater authentic? Real or Fake/ What is it called? Where can I get a replacement drawstring end? Yelled at for taking picture? Anyone know the model for these sneakers? Found this at Thrift, I believe it’s from 1980’s and was wondering if anybody knows anything about it? Someone recently asked on a local hype page about this alledgedly "80s windbreaker" and what it would be worth if ut was legit. I did sole digging but came up with nothing. 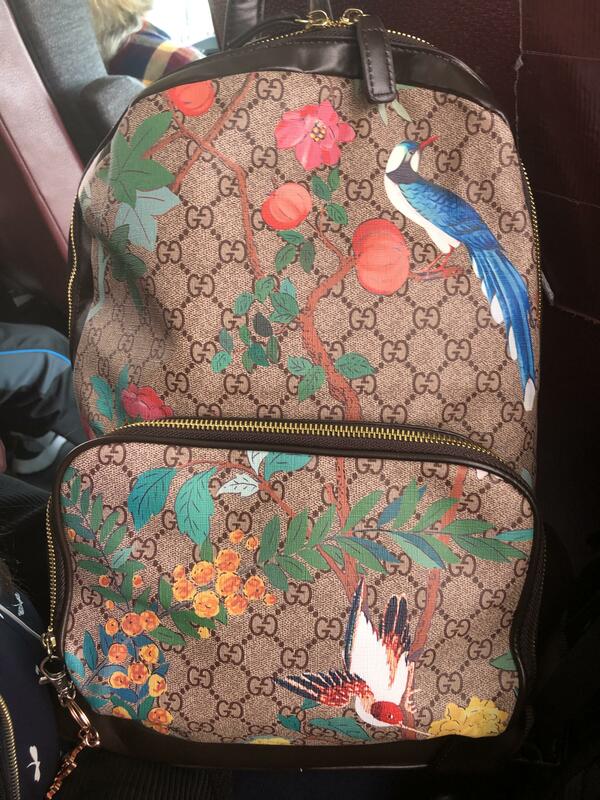 Anyone better educated on vintage gucci here? gucci noob here...looking for a legit check on these bit loafers. thanks y'all! 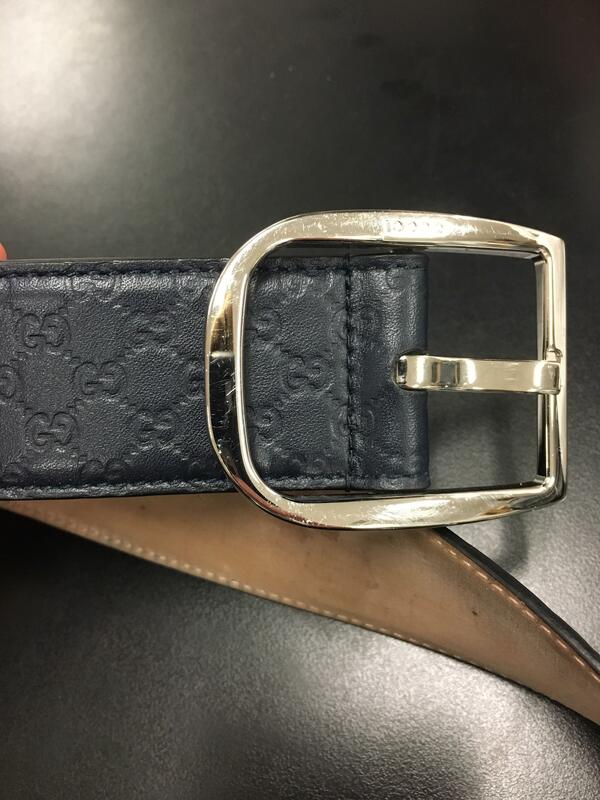 [Help] I have a Gucci belt and I would like to know if it is authentic or not. 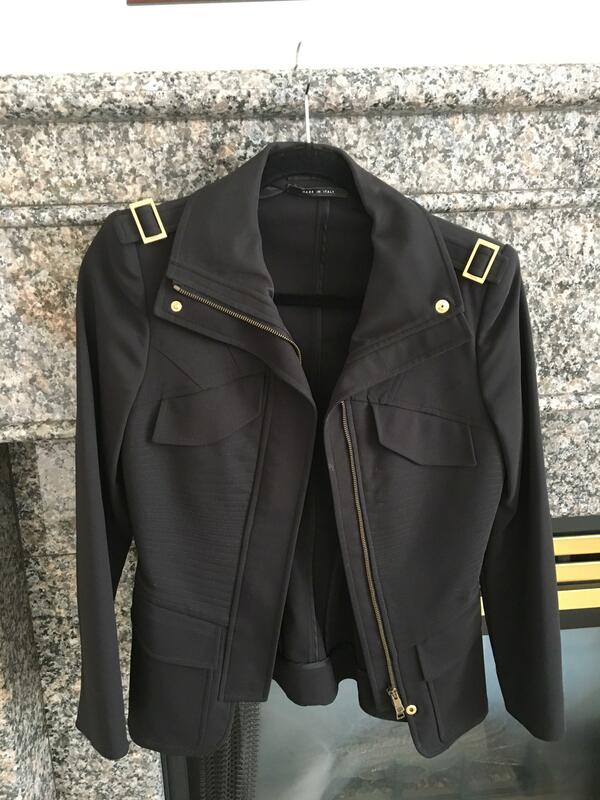 Can anyone ID this gucci jacket? 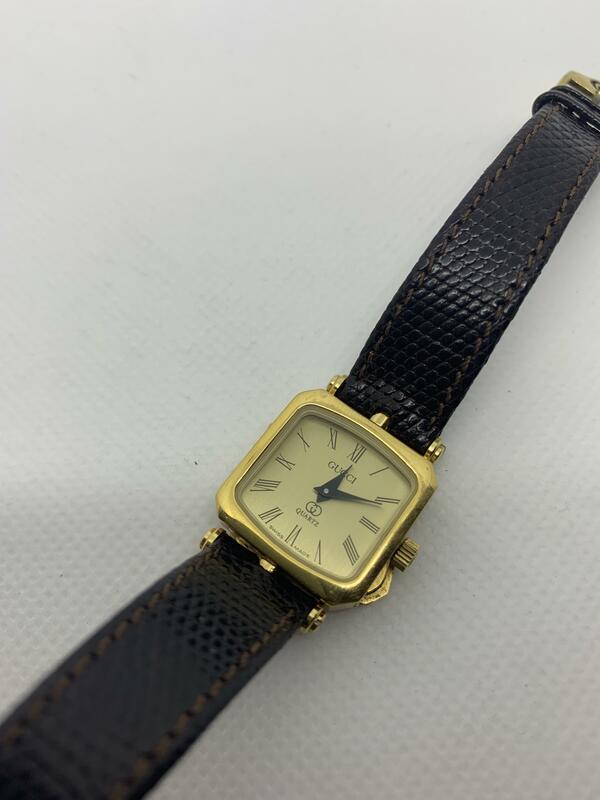 Please help me ID this clutch? Tips on keeping the Gucci falacer LUREX shoes clean ? 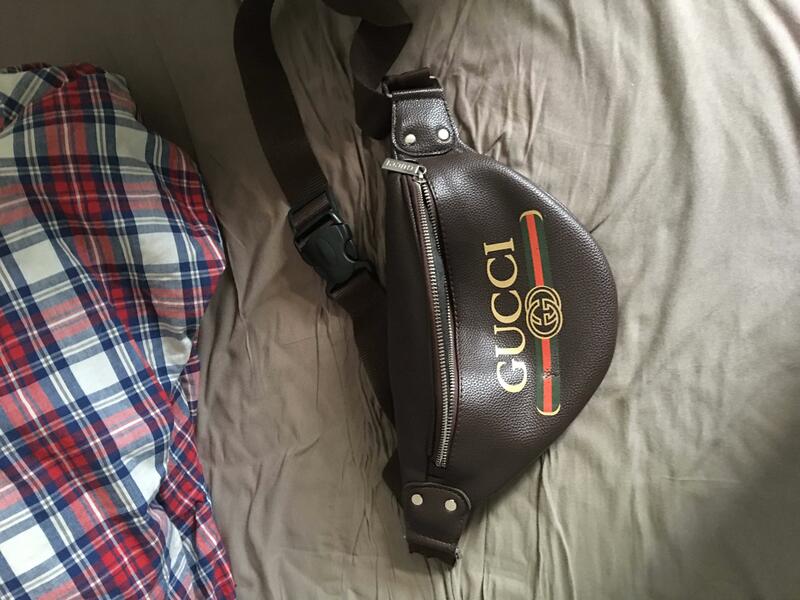 [ID] What is the belt called, possibly leave a link? 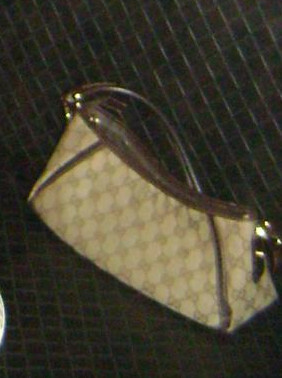 Is this matelassé mini bag authentic? I need help legit checking this please! How badly faked is this? Is this real? 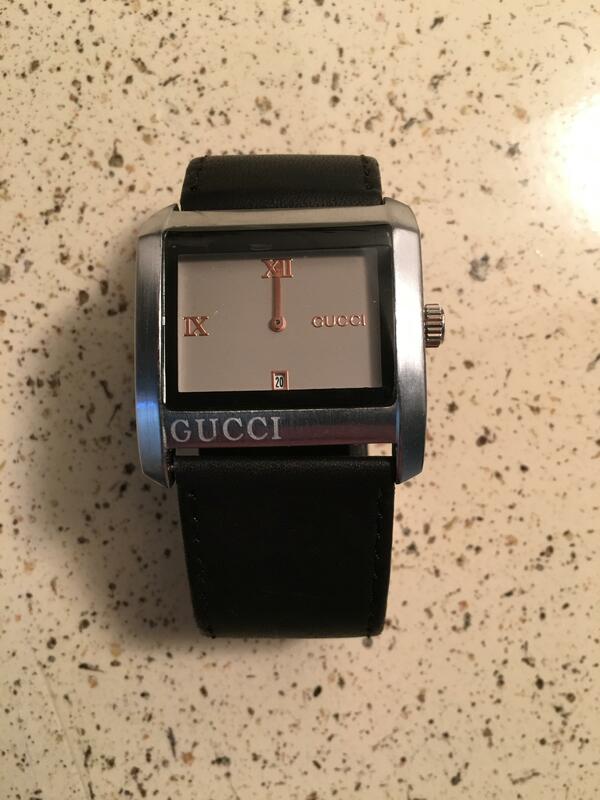 It says Gucci time pieces with the number 0035-818 behind the dial. I believe it’s from the 80’s. 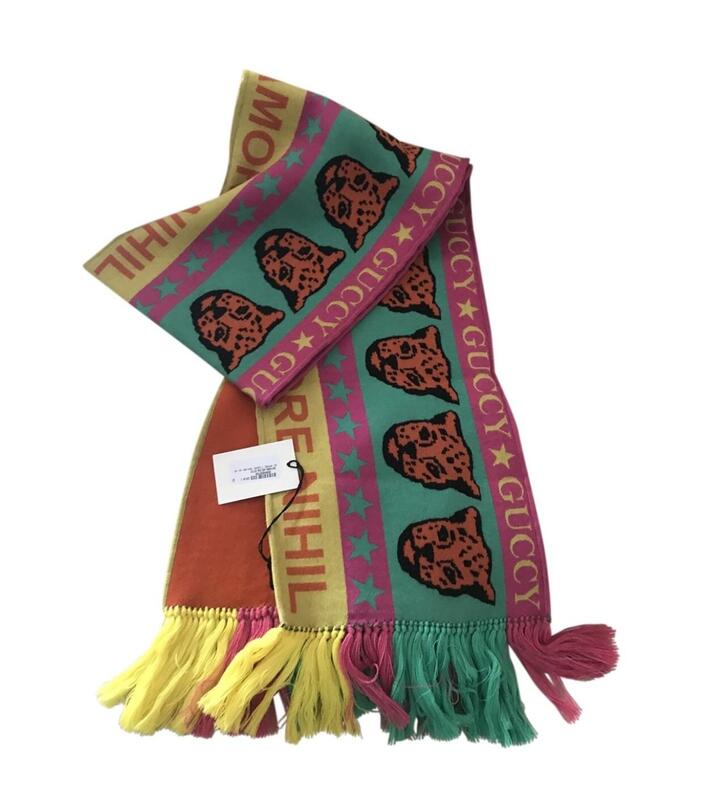 Gucci site sent wrong size? Hey there. Just wondering if this is real or fake? I found online exactly same ones but the stripe is in the middle? 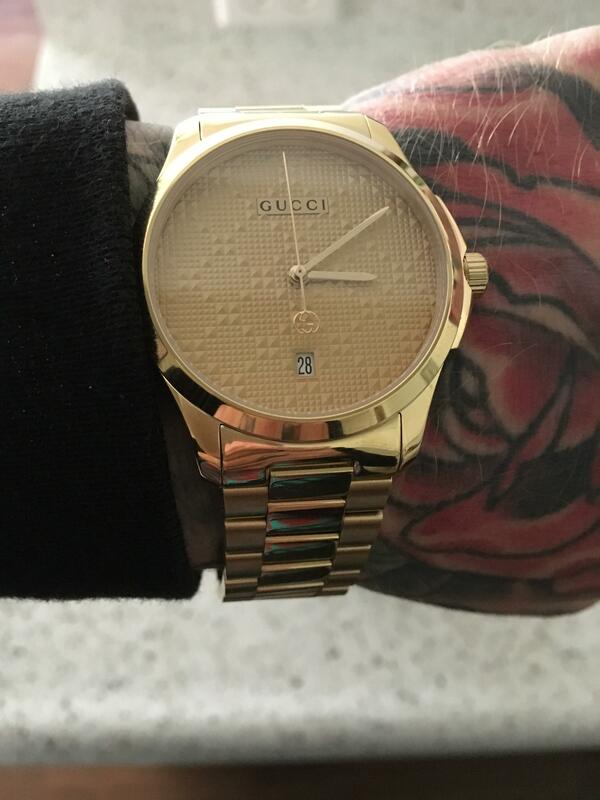 Is this gucci watch real? Does this branding look real? 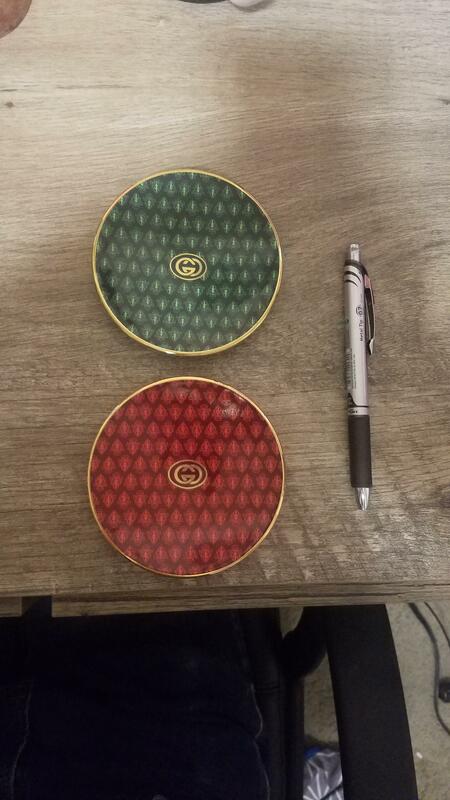 Gucci Button Up Fake or Real? Putting gucci slides in the wash? Can anyone ID this style of men's wallet from Gucci? My brother wanted a pair of horsebits for Christmas. Wanted to try and surprise him. He wore used shoes before, but i know nothing about guicci, are these legit? Found these vintage plates at a garage sale. Anybody know anything about them? Should I cop the basic white/green ace sneakers or go higher & get the ace embroidered tiger sneakers instead?